"Highly recommended for gaming nerds everywhere." "If you're an aspiring pro this book is a must. If you're a rules hacker like me, this stuff is solid gold." "A fantastic collection . . . a solid 5 star rating." "An amazing collection . . . from some of the best designers and writers creating role-playing game material today." Will you be offering an alternative file format for this for something like a kindle? The PDF version seems to be wonky on my Kindle and all of the text is squished to the right. Its fine on my computer though. Yes, Kindle file format is available on Amazon. 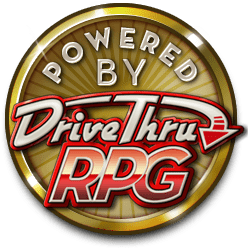 What if you already bought it on Drivethrurpg?